Letter "M" / Page "1" / Games RA is a place to play all kind of video games, huge selection of action, adventure, puzzle, rpg, retro, fighting, halloween, shooter games online in your browser, no download required. | Games RA is a place to play all kind of video games, huge selection of action, adventure, puzzle, rpg, retro, fighting, halloween, shooter games online in your browser, no download required. 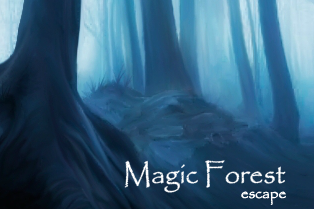 Escape from the magic forest using your skills finding the requested stuff, Very nice relaxing environment to spend a relaxing time. Magic Sword (Japanese: マジックソード? 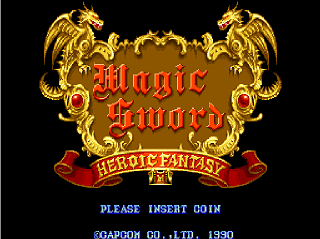 ), fully titled as Magic Sword: Heroic Fantasy, is a side-scrolling fantasy arcade game released by Capcom in 1990. 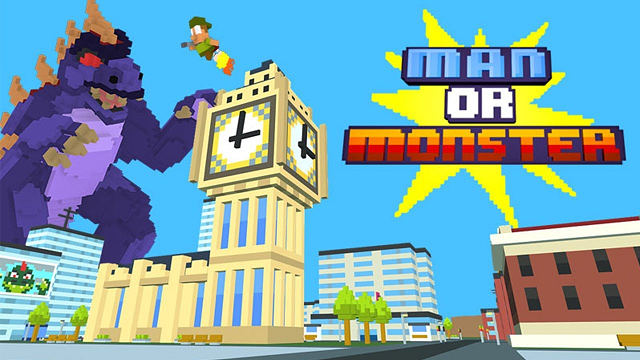 The game casts the player as a hero who must fight his way through a mystical tower in order to save the world. The player can use a sword, axe or magic, and can also rescue and recruit potential allies of various character classes, each of which has his or her own special abilities. Three years earlier, Capcom had released the similar Black Tiger in 1987. Mars Matrix: Hyper Solid Shooting, or simply Mars Matrix (マーズマトリックス? 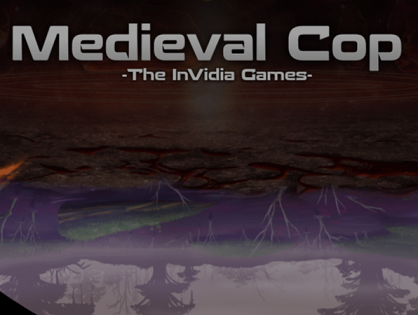 ), is a vertical scrolling shooter arcade game developed by Takumi in 2000. The game was published by Capcom and run on their CPS-2 arcade system board. 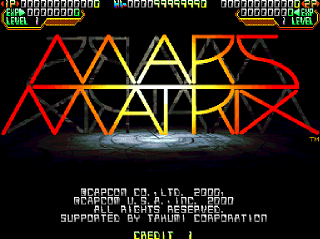 Mars Matrix was later ported to the Dreamcast video game console in 2001. The arcade version is notable for using a horizontally aligned monitor (much like Giga Wing), something that is considered rare for a vertical shooter. Marvel Super Heroes (マーヴル・スーパーヒーローズ Māburu Sūpā Hīrōzu?) is a fighting game developed by Capcom. Originally released in the arcade in 1995 on the CPS-2 arcade system, it was later ported to the Sega Saturn and PlayStation in late 1997. The game, alongside Marvel vs. Capcom: Clash of Super Heroes, was also was included in the Marvel vs. Capcom Origins collection, released for the PlayStation Network and Xbox Live Arcade in September 2012.Marvel Super Heroes is loosely based on "The Infinity Gauntlet" storyline of the Marvel Universe. It is the second Capcom fighting game based on characters from the Marvel Comics line, following X-Men: Children of the Atom, and was later succeeded by the Marvel vs. Capcom series. This game was dedicated to the memory of Jack Kirby, with character artwork based on his old designs. 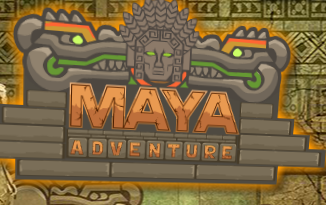 After visiting the Inca and Aztec pyramids, This time the adventurer father and daughter duo continue their journey to the Maya pyramids. But, this game they run into help when Dad got kidnapped and taken captive by the native tribe members. Archaeologist girl went to seek help from her friend to save her father. Two together to solve puzzle and save Dad. 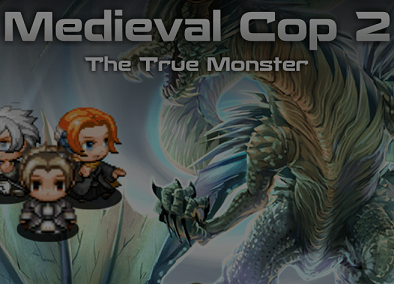 Medieval Cop 2 – The True Monster, Dregg is back and he is more sarcastic and depressed than ever.Help Dregg solve the case of the death of Professor Wordsworth Before his self proclaimed rival Polly. Continue the journey with Dregg and his company as they meets their greatest challenge yet in this final part of the tournament. Mega Man, alternatively written as Megaman and MegaMan, known as Rockman (ロックマン, Rokkuman) in Japan, is a video game franchise created by Capcom, starring the robot character Mega Man, or one of his many counterparts. Mega Man, released for the Nintendo Entertainment System in 1987, began a series of over 50 games on multiple systems. By March 2015, the series had sold approximately thirty million copies worldwide, and is often cited as one of the most renowned video game franchises of all time. Mega Man 2, known in Japan as Rockman 2: Dr. Wily no Nazo (ロックマン2 Dr.ワイリーの謎, Rokkuman 2 Dr. Wairī no Nazo, lit. "Rockman 2: The Mystery of Dr. Wily"), is a platform game developed and published by Capcom for the Nintendo Entertainment System. It is the second installment in the original Mega Man series. The game was released in Japan in 1988, and in North America and PAL regions the following years. 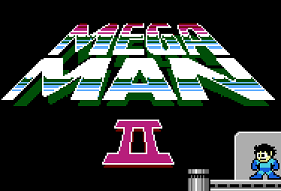 Mega Man 2 continues the titular protagonist's battle against the evil Dr. Wily and his rogue robots. The game features graphical and gameplay changes from the first Mega Man game, many of which have remained throughout the series. Although sales for Mega Man were unimpressive, Capcom allowed the Rockman team to create a sequel. They worked concurrently on other Capcom projects, using their free time to develop the game. Unused content from the previous title was integrated into Mega Man 2. Takashi Tateishi composed the soundtrack, with Yoshihiro Sakaguchi serving as a sound programmer. With more than 1.5 million copies sold, the game is the best-selling Mega Man title. Critics praised its audio, visuals and gameplay as an improvement over the first game. Many publications rank Mega Man 2 as the best title in the series, and as one of the greatest video games of all time. 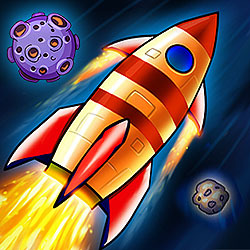 The game has been re-released on several consoles and mobile phones. Mega Man 2: The Power Fighters, known in Japan as Rockman 2: The Power Fighters (ロックマン2・ザ・パワーファイターズ? ), is an arcade video game, released in Japan in 1996 as a fighting game in the Mega Man series of games. It is the direct sequel to Mega Man: The Power Battle released the previous year. Both games were ported to home consoles in North America in 2004 as part of the Mega Man Anniversary Collection for PlayStation 2, Xbox, and GameCube and in Japan during the same year as part of two game compilation titled Rockman: Power Battle Fighters (ロックマン パワーバトルファイターズ? ), also for the PlayStation 2. An adaptation of both games for the Neo Geo Pocket Color, titled Rockman: Battle & Fighters (ロックマン バトル&ファイターズ? ), was also made. Mega Man X (after X4 stylized as Megaman X), known in Japan as Rockman X (ロックマンX, Rokkuman Ekkusu), is a Mega Man series of platform games released by Capcom. It was initially released on December 17, 1993 in Japan (January 1994 in North America) on the Super NES/Super Famicom and spawned sequels on several systems, most of which were later ported to the PC platform. The plot is a continuation of the preceding series, Mega Man. 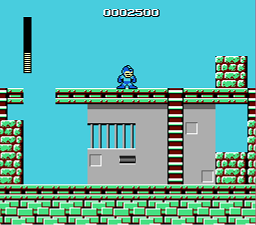 The game play introduced new elements to the Mega Man Franchise including the ability to dash and climb walls. The first six games in the series were compiled in the anthology Mega Man X Collection. Mega Man X3, known as Rockman X3 (ロックマンX3) in Japan, is a video game developed by Capcom for the Super Nintendo Entertainment System (SNES). 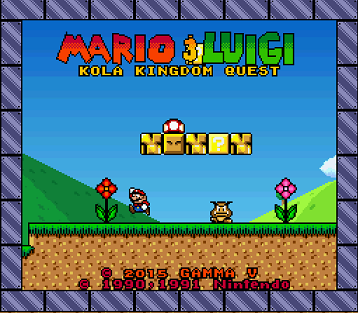 The game was originally released in Japan on December 1, 1995 and later in North American and PAL regions in 1996. It is the third game in the Mega Man X series and the last to appear on the SNES. Mega Man X3 takes place in a fictional future in which the world is populated by humans and intelligent robots called "Reploids". Like their human creators, some Reploids involve themselves in destructive crime and are labelled as "Mavericks". After twice defeating the Maverick leader Sigma, the heroes Mega Man X and Zero must battle a Reploid scientist named Dr. Doppler and his utopia of Maverick followers. Mega Man X3 follows in the tradition of both the original Mega Man series and the Mega Man X series as a standard action-platform game. The player traverses a series of eight stages in any order while gaining various power-ups and taking the special weapon of each stage's end boss. 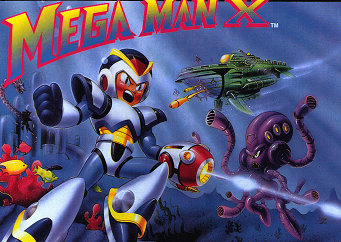 Mega Man X3 is the first game in the series in which Zero is a playable character in addition to X. 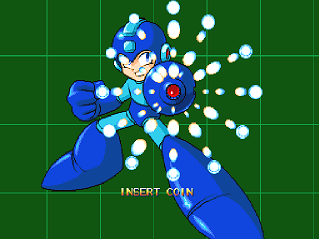 Like its predecessor, Mega Man X2, X3 features the "Cx4" chip to allow for some limited 3D vector graphics and transparency effects. 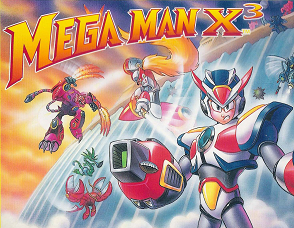 A 32-bit version of Mega Man X3 was released on the PlayStation, Sega Saturn, and Windows in various countries. 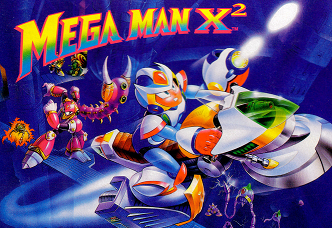 This version was included on the North American Mega Man X Collection in 2006. 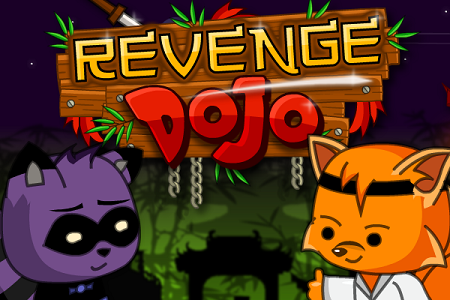 The game was also ported to Japanese mobile phones in 2010. Critical reception for Mega Man X3 has been above average. However, the game, particularly the 32-bit version, has received miscellaneous criticism from reviewers for its lack of improvements to the series. Capcom announced that Mega Man X3 would be coming to the Wii U Virtual Console in 2014. It was released in North America on August 28, 2014, Japan on October 8, 2014 and the PAL regions on November 6, 2014. Mega Man: The Power Battle, known in Japan as Rockman: The Power Battle (ロックマン・ザ・パワーバトル), is an arcade video game and a spin-off title for the Mega Man series. It was released in Japan in 1995 and was followed by a sequel, Mega Man 2: The Power Fighters, the following year. Both games were ported to home consoles in North America in 2004 as part of the Mega Man Anniversary Collection for PlayStation 2, Nintendo GameCube and Xbox and in Japan during the same year as part of two game compilation titled Rockman: Power Battle Fighters (ロックマン パワーバトルファイターズ), also for the PlayStation 2. An adaptation of both games for the Neo Geo Pocket Color, titled Rockman: Battle & Fighters (ロックマン バトル&ファイターズ), was also made.